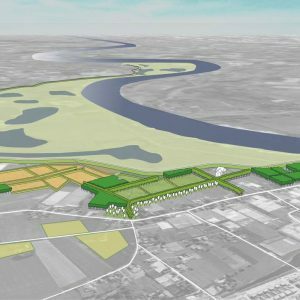 Feddes/Olthof landscape architects is a leading practice of landscape architecture in the Netherlands that works on water projects, infrastructure projects, parks, urban spaces, plans for energy transition and concepts for heritage conservation. 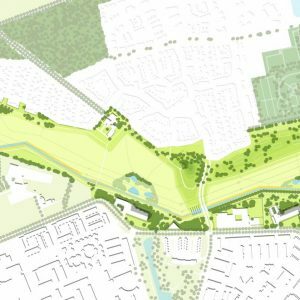 In this broad spectrum there is a focus on the design of large parks and the landscape integration of infrastructure. 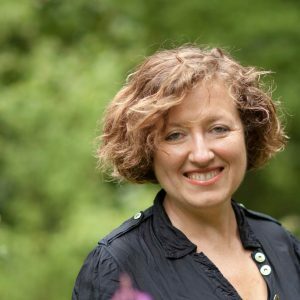 Feddes/Olthof has a fascination with parks that are almost landscape and the interaction between landscape architecture and civil engineering. 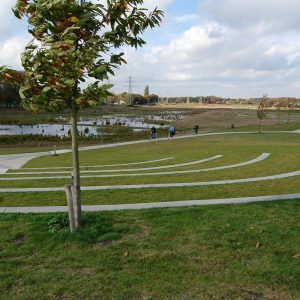 Feddes/Olthof landscape architects designed three large parks for different municipalities within the Netherlands (Arnhem-Nijmegen, Deventer, Lansingerland). 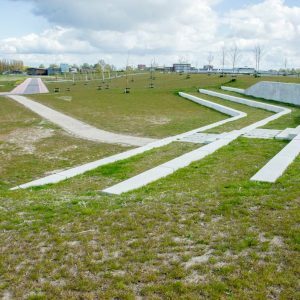 • a park as a second life for the landscape. 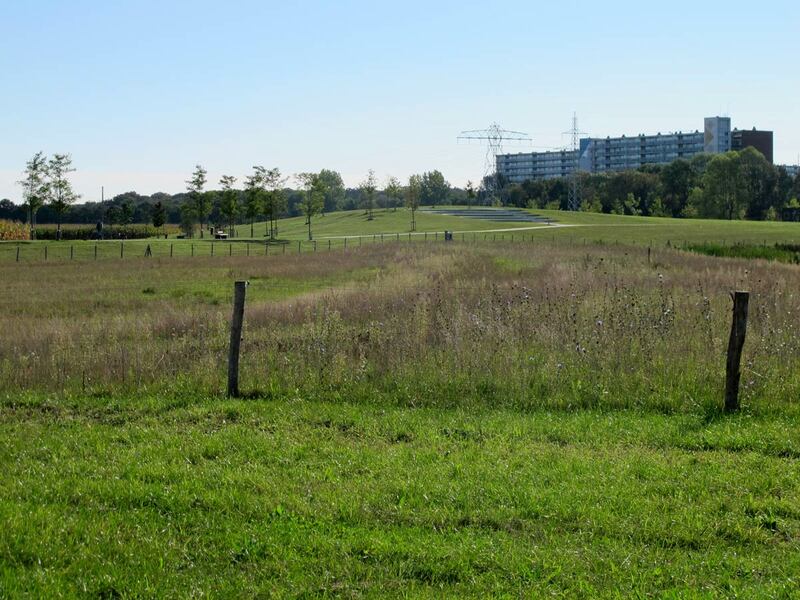 Park Lingezegen between Arnhem en Nijmegen (1600 ha) could be characterized as a boost to the landscape. 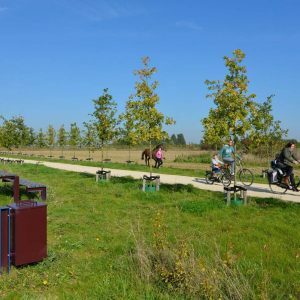 Park Lingezegen is still a rural landscape but in better harmony with the surrounding urban areas. 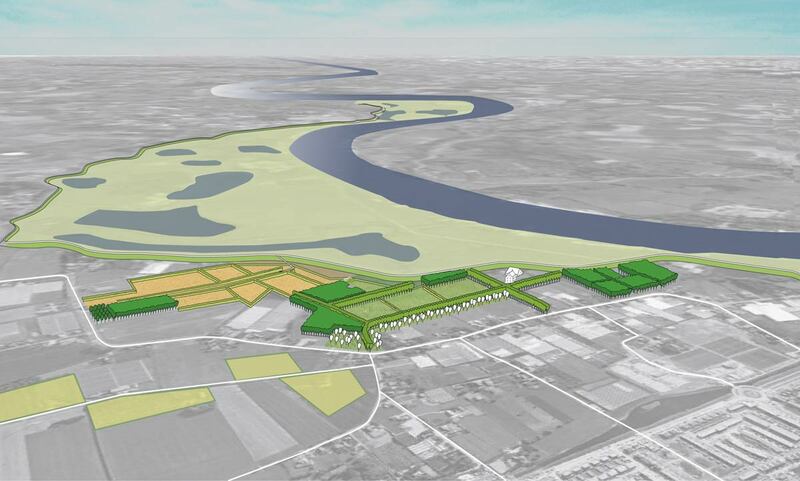 This means a strong landscape framework, improvement of the accessibility and an ecological upgrade. 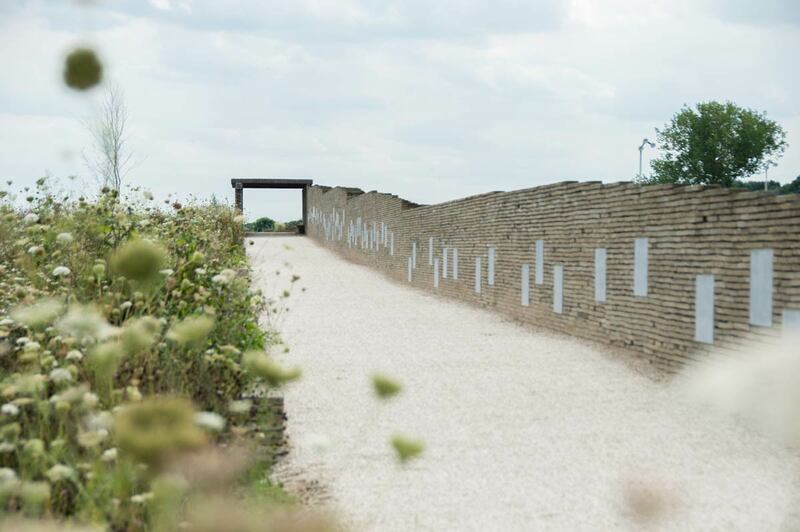 On the other hand, Zandweteringpark (45 ha) is exploring the particularities of the landscape. The design emphasizes on the natural ground shape with relative high and low zones, high parts are lifted and low parts are lowered. 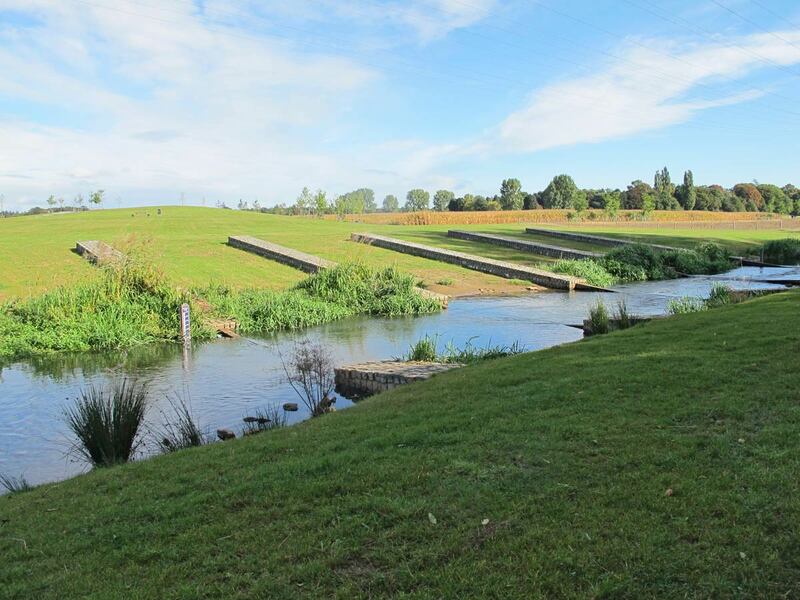 The low zone functions as water storage and the sloping zone offers new possibilities for recreational wandering. 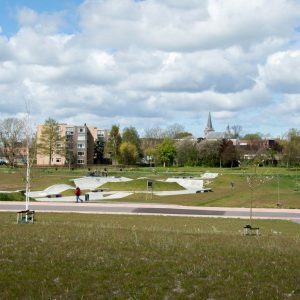 Finally, the design of the Annie MG Schmidt Park (60 ha) gives a second life to a lost landscape. 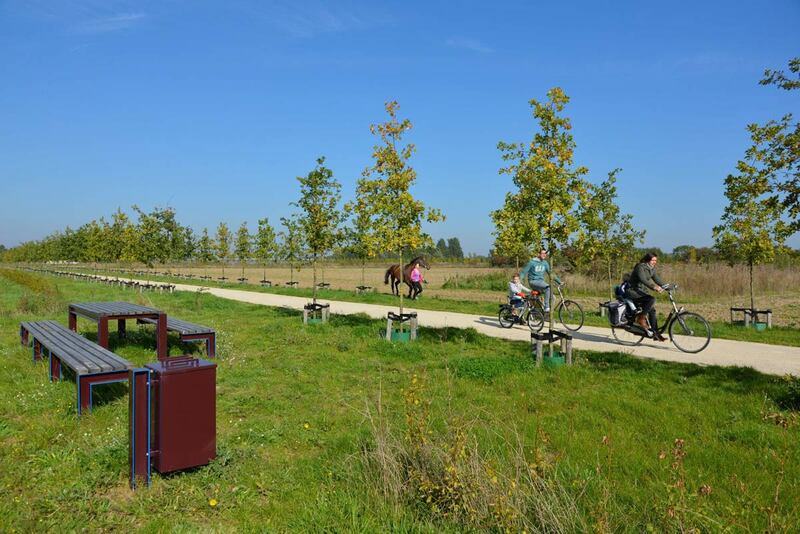 The park is situated along the high-speed line Amsterdam-Paris. 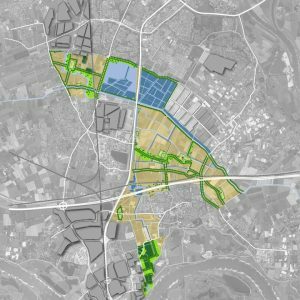 The construction of the high-speed line in combination with the built of other infrastructural elements and the development of housing estates have led to an isolated and fragmented landscape zone. 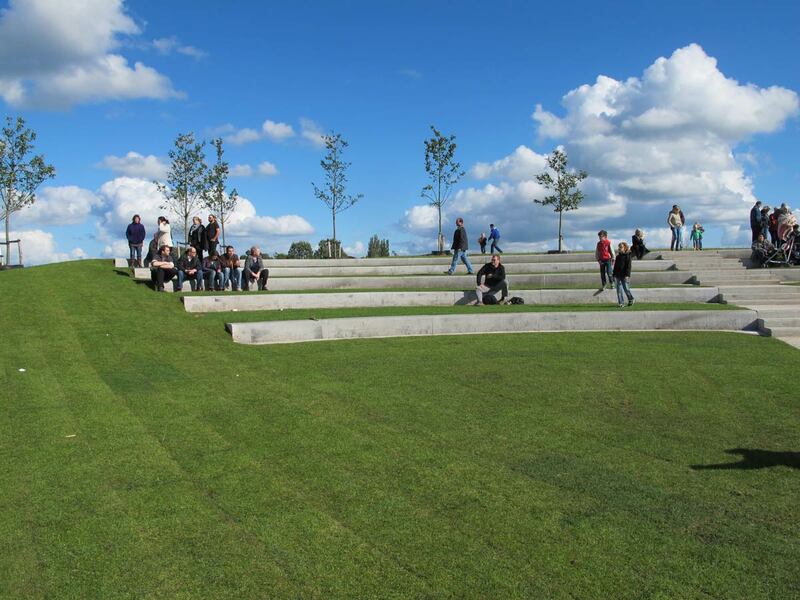 The design of the Annie MG Schmidt Park relieves the dynamic and crowded surroundings. 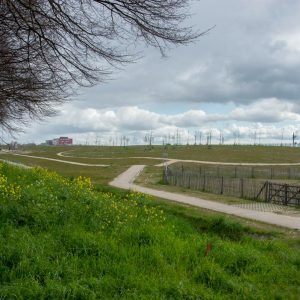 The basis of the design is a new robust ground wall that protects the park against the high-speed line, facilitates several outdoor activities, gives the impression of an empty horizon and is an attractive background to the little dike (landscheidingsdike) from the Middle Ages. 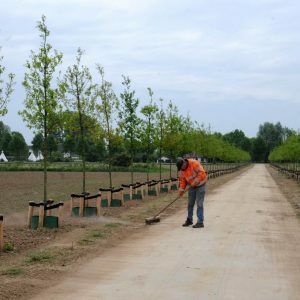 Feddes/Olthof landscape architects is involved in the landscaping of several infrastructure lines. 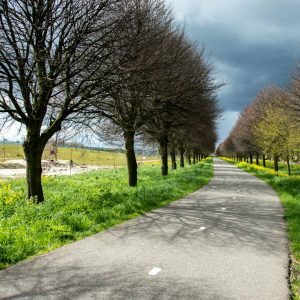 Careful integration of infrastructure in the landscape respects ecological relations, minimalizes disturbance and evokes appealing images. 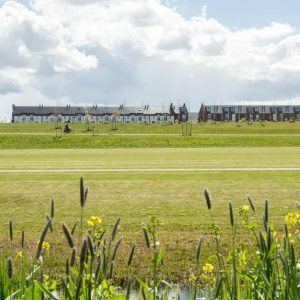 We believe that a landscape perspective can make a difference in the design of infrastructure, is an efficient tool for stakeholder management and increases social consensus. 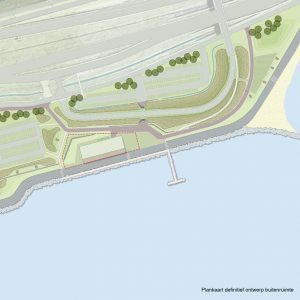 In our approach, the starting point in the design is creating cohesion between the infrastructure line and the context. 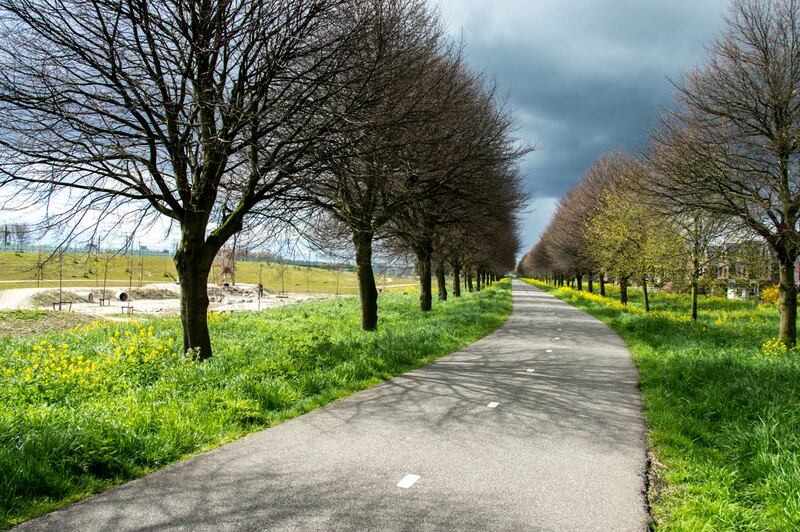 This approach leads to infrastructure lines that are well embedded in urban landscapes or clean technical lines in contrast with the rural or natural landscape. 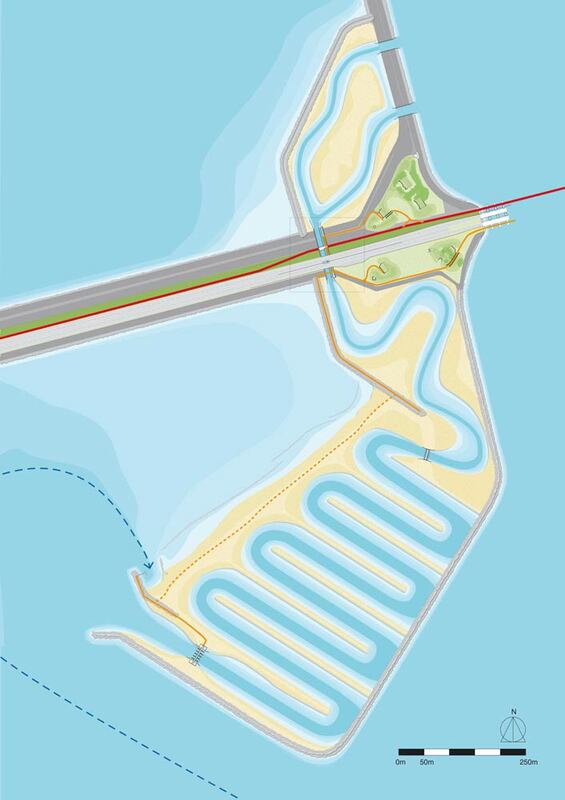 In projects for reinforcement of coastlines we design characteristic forms of see and river dikes that react on the specific natural conditions. 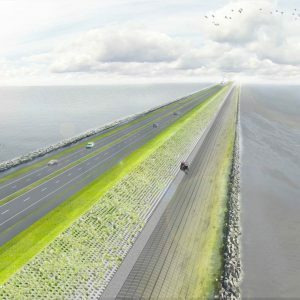 In our vision for the Afsluitdijk, a masterpiece of the Dutch waterworks, we paired the safety requirements with the identity of the water landscape and the unique architectural elements. 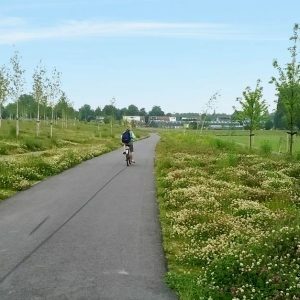 We integrated five themes: the dike as an icon of water management in the Netherlands, the unique experience of the water scenery, a sustainable dike that provides energy, new conditions for ecological development and a tourism hotspot. 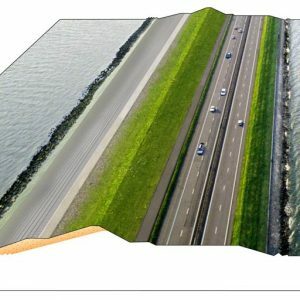 In the future, the Afsluitdijk is no longer a dike that divides but a dike that connects. 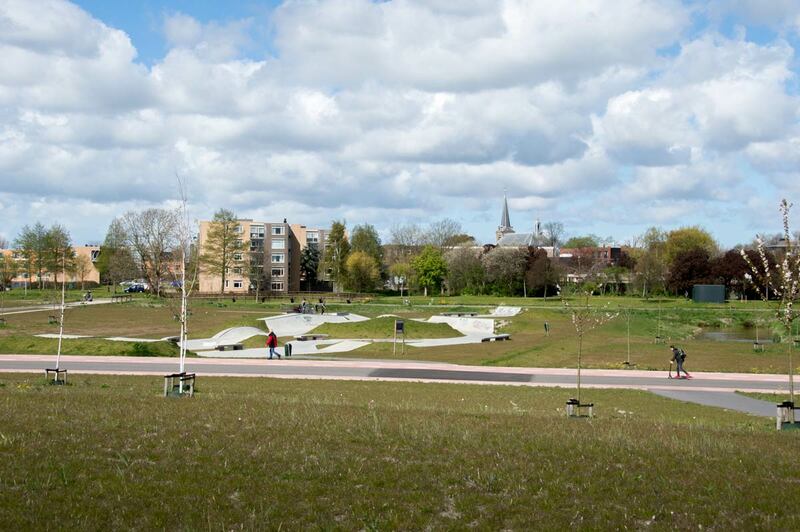 Park Lingezegen could be typified as a boost for the landscape. 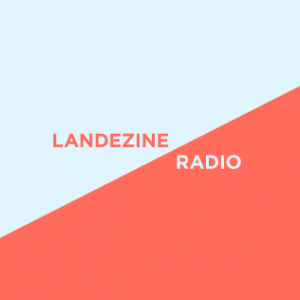 Lingezegen is still landscape. 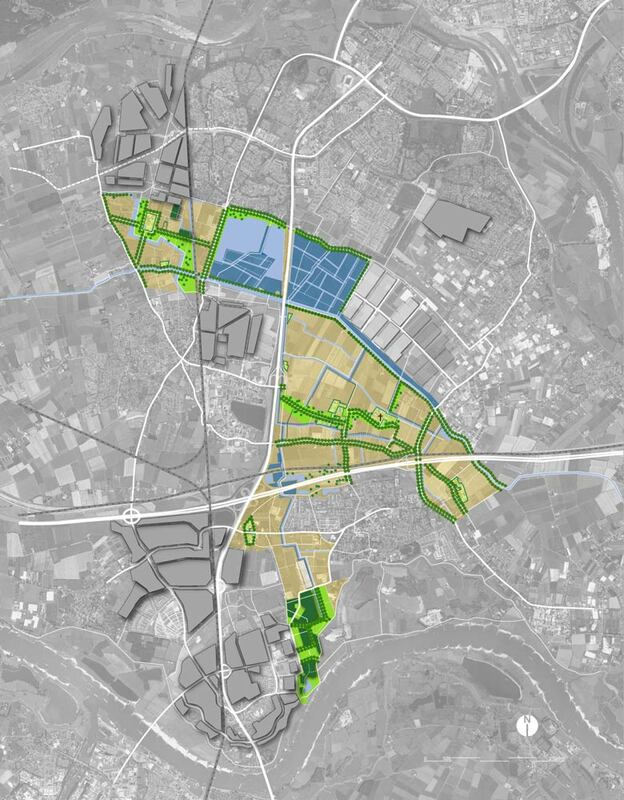 But a landscape that is more on speaking terms with the cities that surround it. 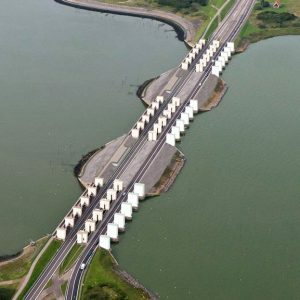 Lingezegen lies between Arnhem and Nijmegen, set between the Rhine and Waal rivers. 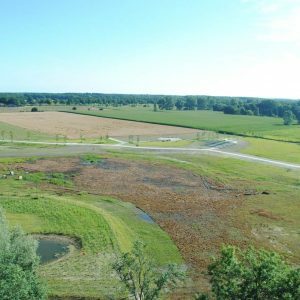 It covers an area of 1600 hectares, of which 450 hectares were specifically acquired for the park system. 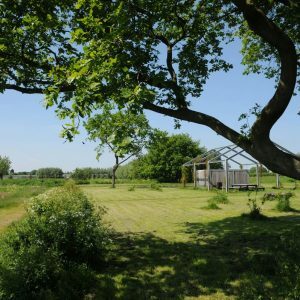 The rest of the land will remain in agricultural use. 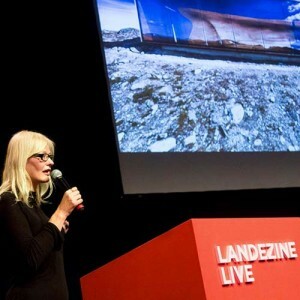 The investment for Lingezegen amounts to 70 million euros. 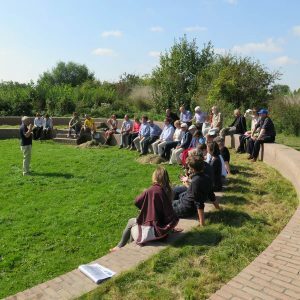 For us as designers the main issue was: how to transform a landscape that is agricultural in every inch into a landscape fit for city-dwellers? 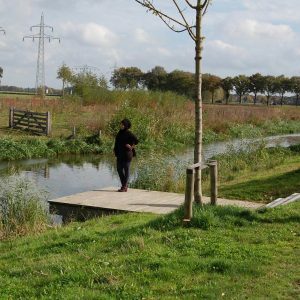 A landscape that is accessible, where ecology is important and the water management is more sustainable. We could not transform the area in its entirety. 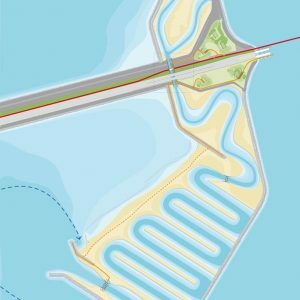 So we built a Master plan using two maps: the Framework and the Target Scenario. 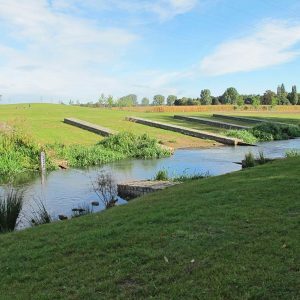 The framework includes all the public-sector investments: in recreational paths, water, planting schemes, woodland and marshland. 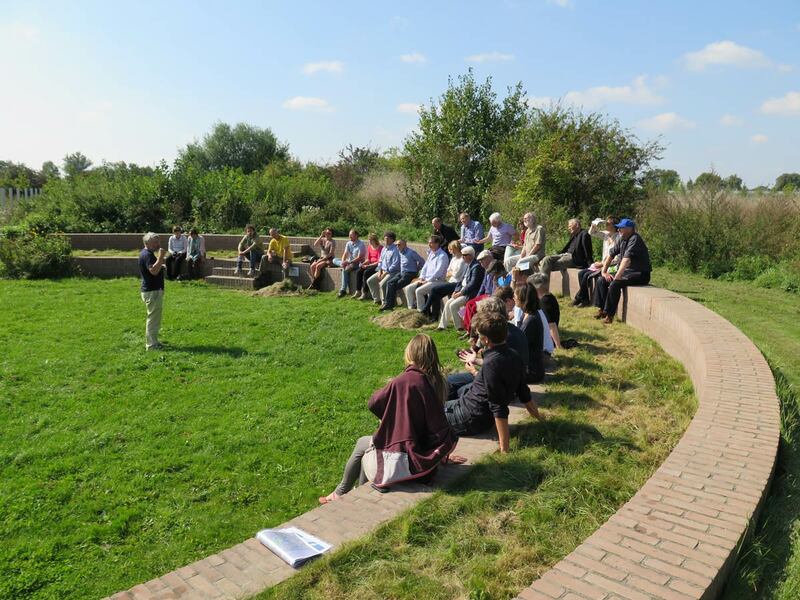 Together this forms the public space of Lingezegen. The Target Scenario shows how private parties can link up with the Framework. 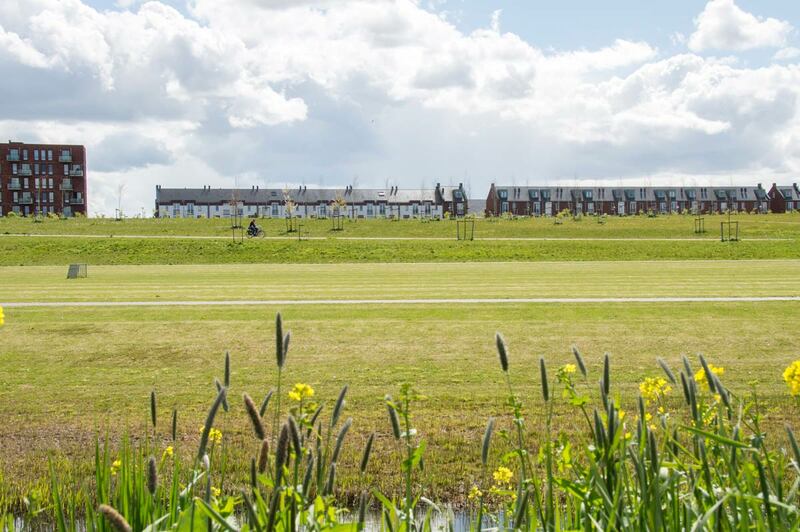 On the most southerly point of Park Lingezegen lies the country estate Doornik. 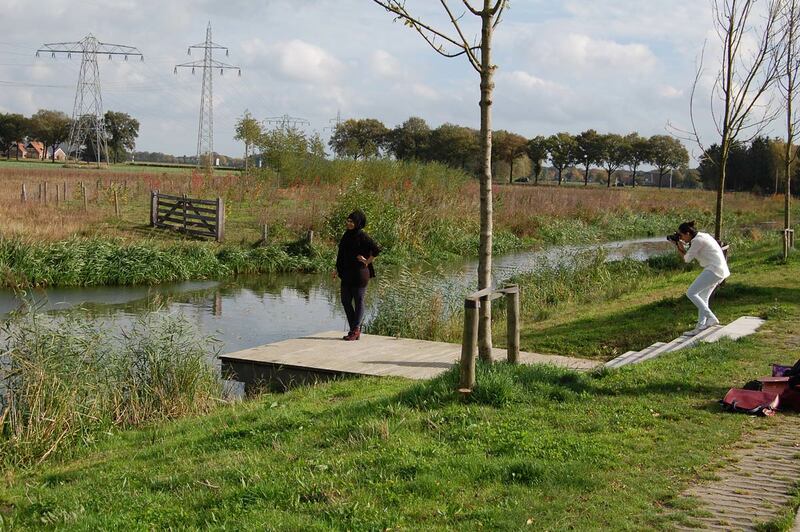 It is a relevant spot: the place where the Park Lingezegen touches the River Waal. 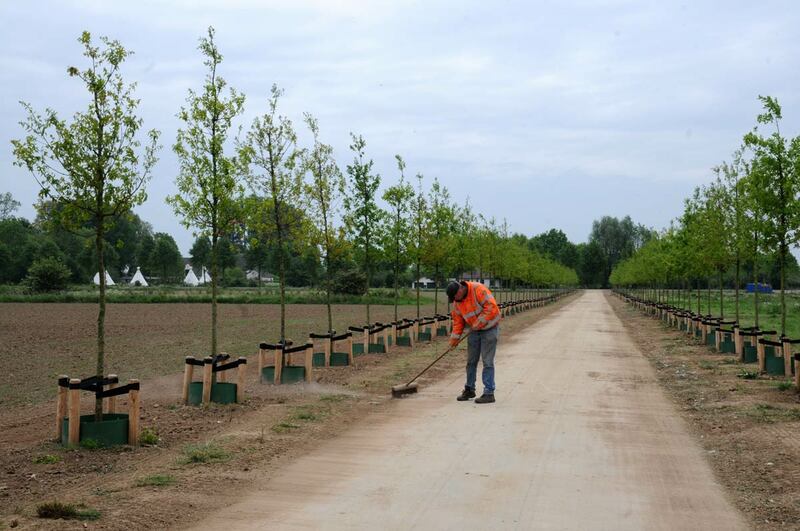 We designed lanes, a ribbon of cherry trees, new woodlands and mixed hedgerows. 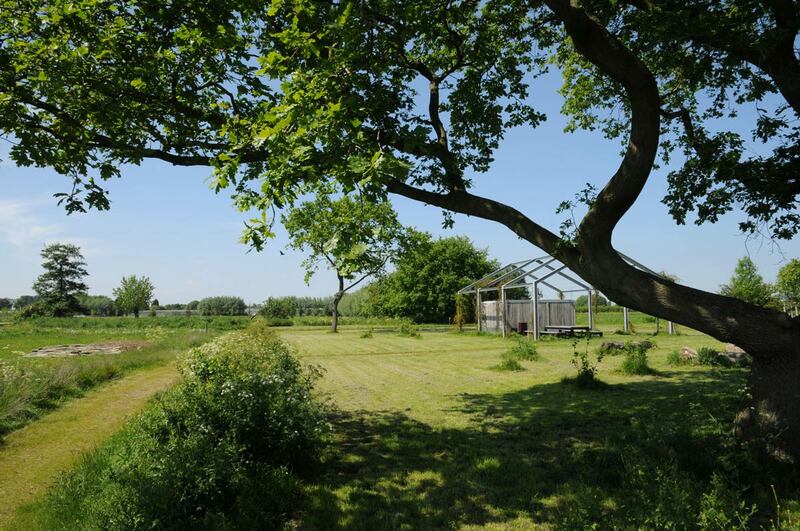 An old barn is marked with a frame that will become overgrown. 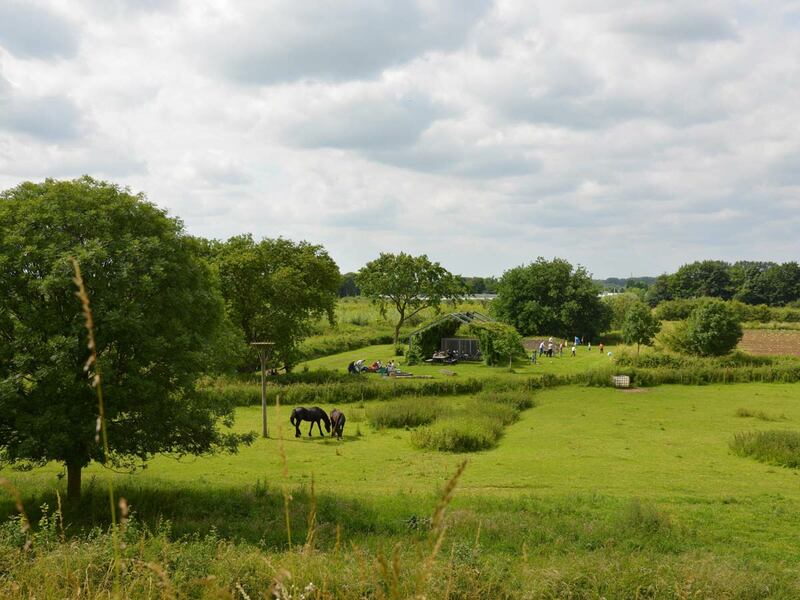 Beneath it is a picnic table and the farmyard planting is restored. 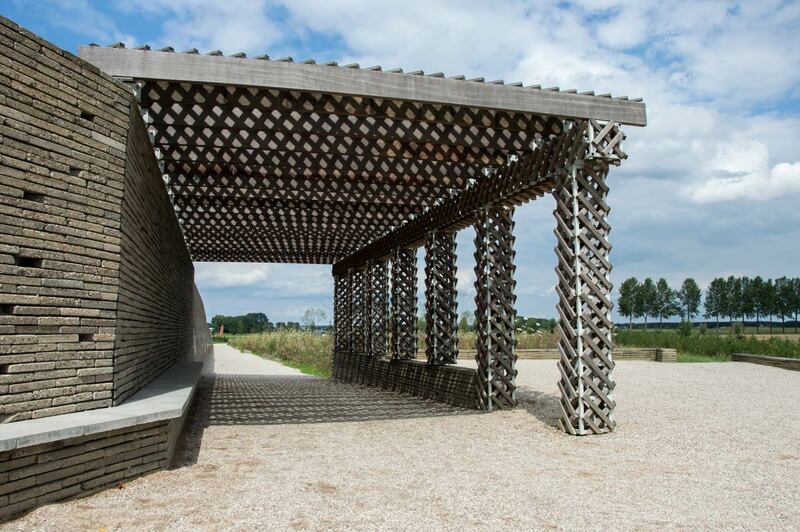 Incorporated into a new woodland fringe there is a small open-air theatre which views to the dike of the Waal. 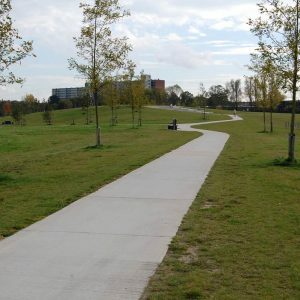 The Zandweteringpark is a large park in the north of Deventer. 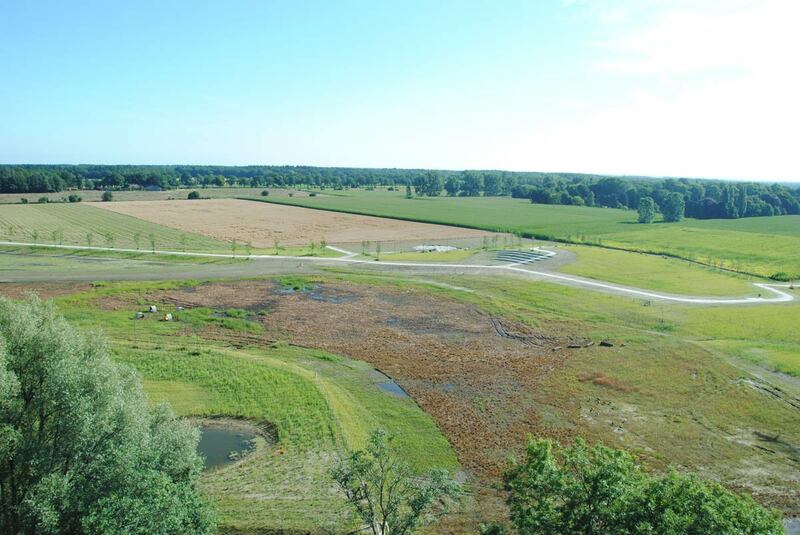 The park combines recreation, ecology and water storage. 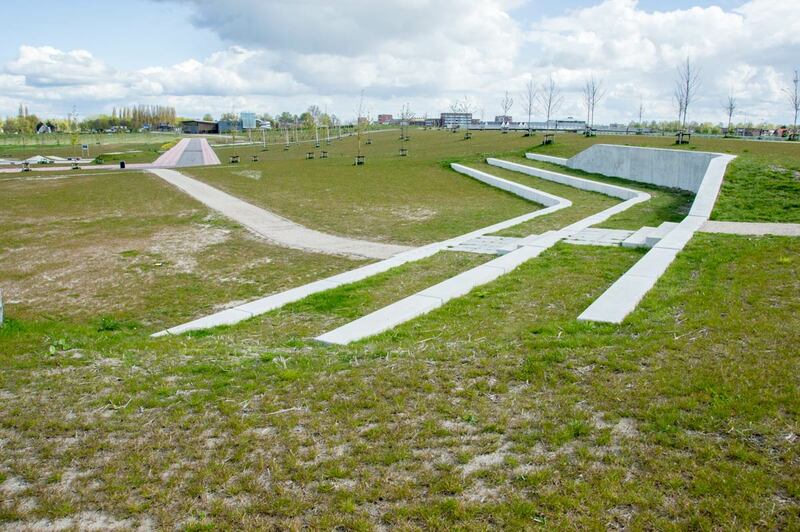 The basis of the park is a new ground form with lowered and raised parts. The wetlands in the lowered zone have an ecological function and a function for the storage of water. 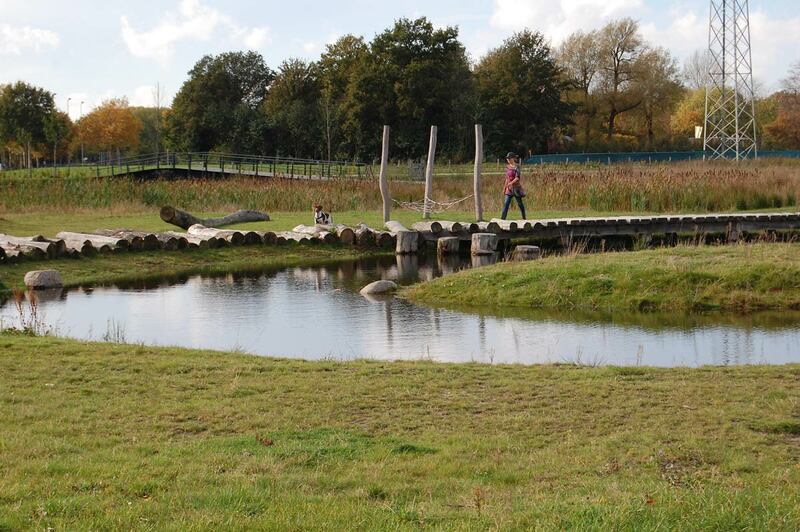 Three stepping-stones with ponds strengthen the natural quality of the park. 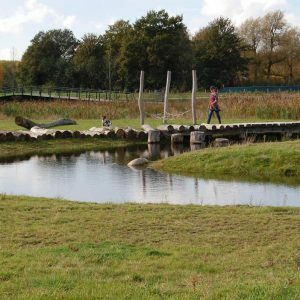 A weir in the brook is replaced by a cascade, that functions as a passage for fishes and adds an attractive park element. 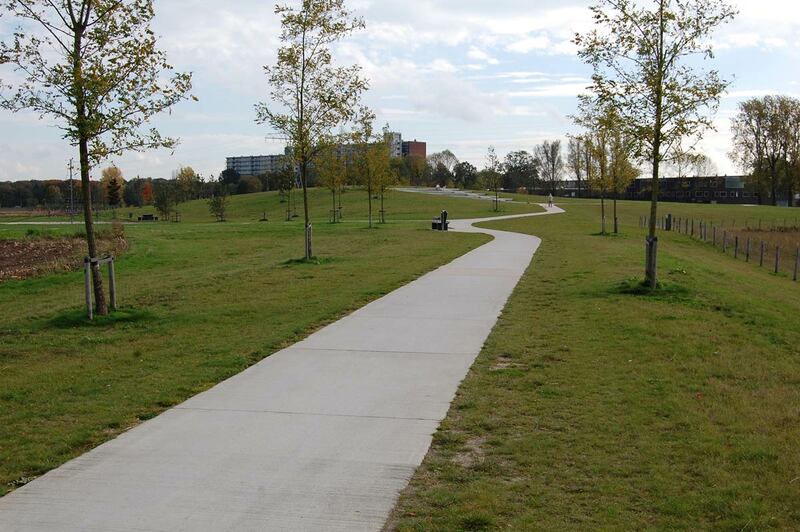 The main recreational paths follow the relative high zones. 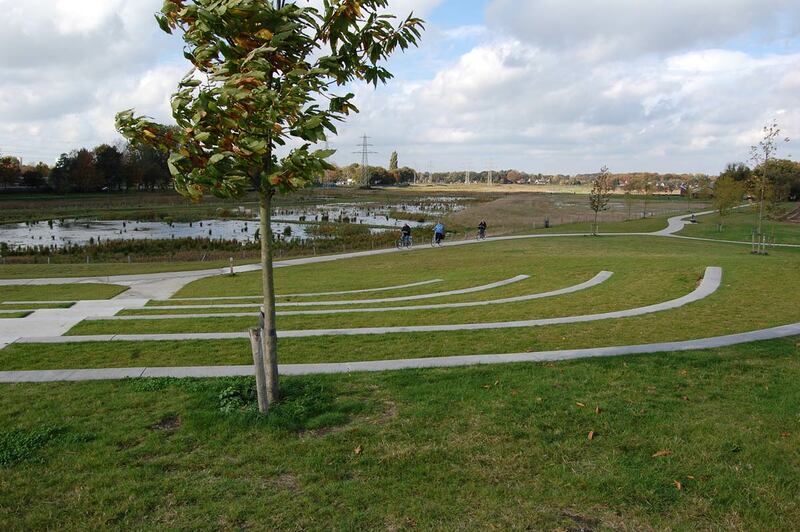 In the middle of the park is an open-air theater with a view over the wetlands. 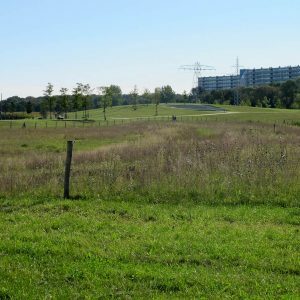 The Zandweteringpark is an unity with the surrounding landscape. 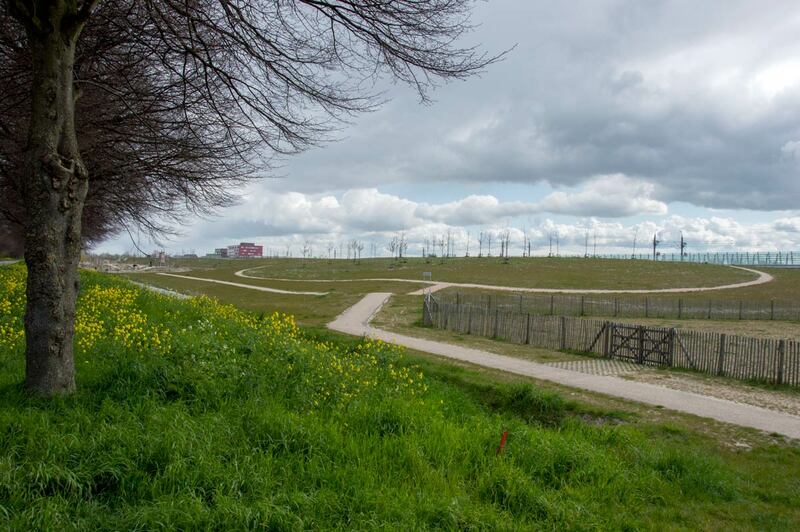 It is not a park that claims a part of the landscape: it is still landscape. 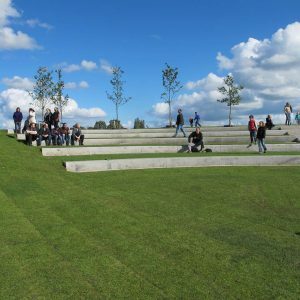 The Annie MG Schmidtpark is a large park along the High-speed line Amsterdam-Paris. 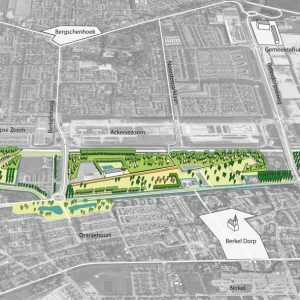 The park links the urban areas Berkel and Bergschenhoek that are situated on both sides of the High-speed line. 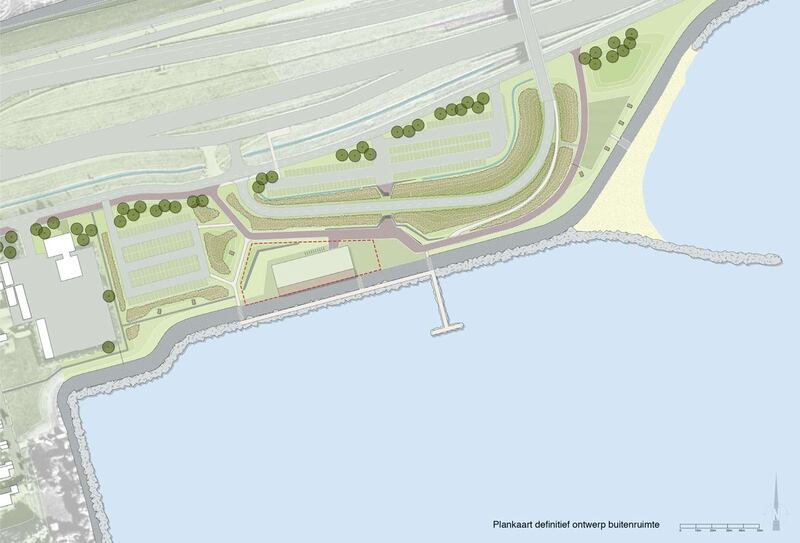 The most important park element is a new robust wall along the infrastructure. On the side of the infrastructure lines the wall has a steep slope and on the side of the park a slight slope. 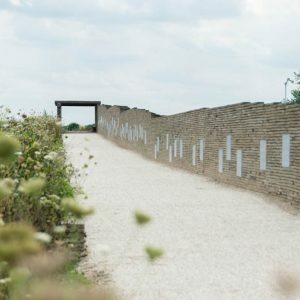 The designed wall has a function as noise barrier, makes the narrow park optical more spacious, and gives the experience of an empty horizon. Various buildings are included and integrated in the wall, like a swimming pool and a restaurant. 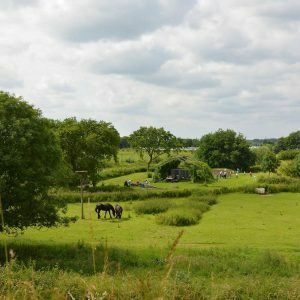 On the opposite side of the wall is an old historical dike from the Middle Ages: de Landscheidingsdijk. 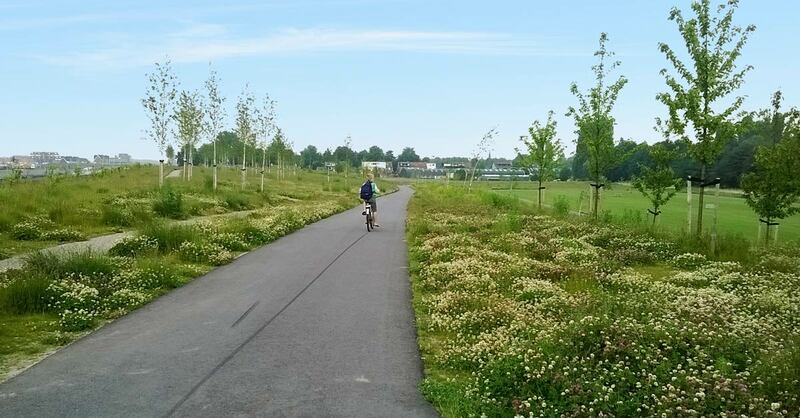 Nowadays this dike is a highly attractive route for biking and walking. 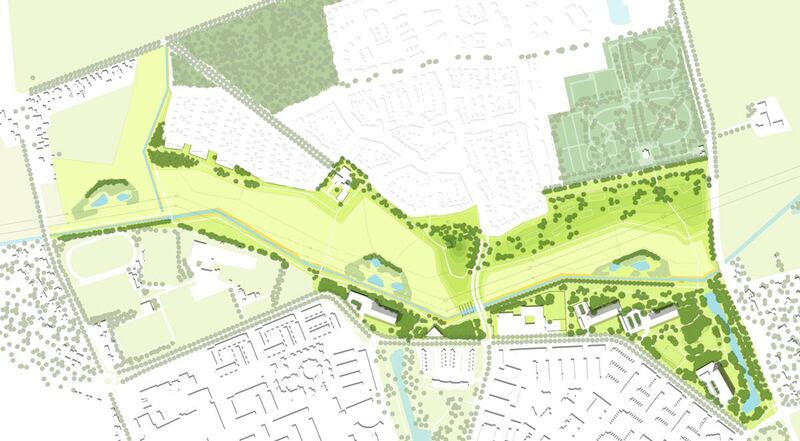 Between the little old dike and the big new wall we designed a zone of free space for sports and playing. 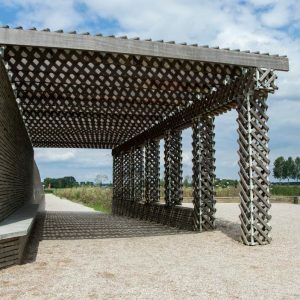 The design of the Annie MG Schmidtpark gives a second life to a fragmented landscape. 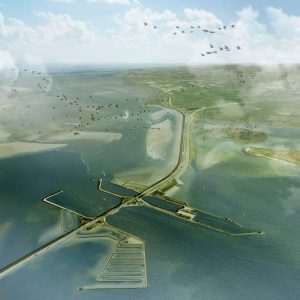 The monumental Afsluitdijk, masterpiece of water management in the 20th century, must be adapted to requirements on flood risk management for the future. 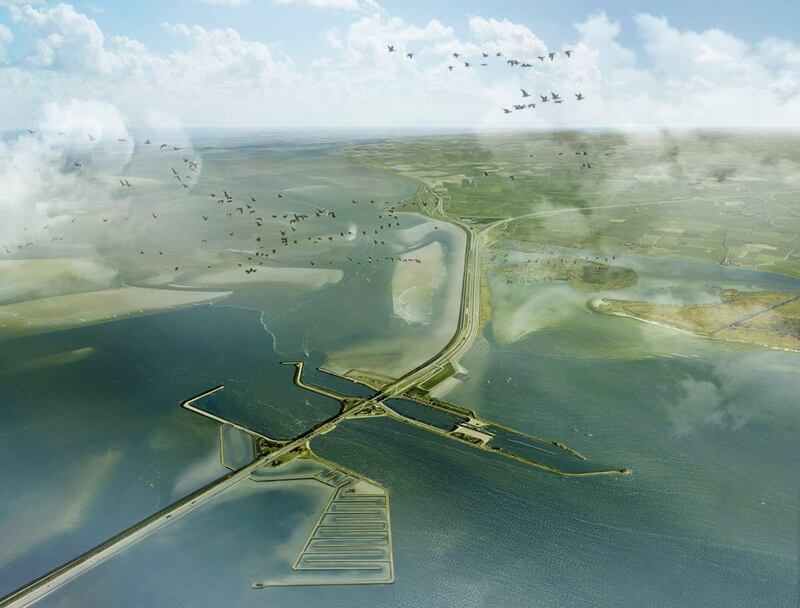 By integrating ambitions for ecology, sustainability and recreation with the hydraulic design, the Afsluitdijk can be renewed into an icon of the 21st century. 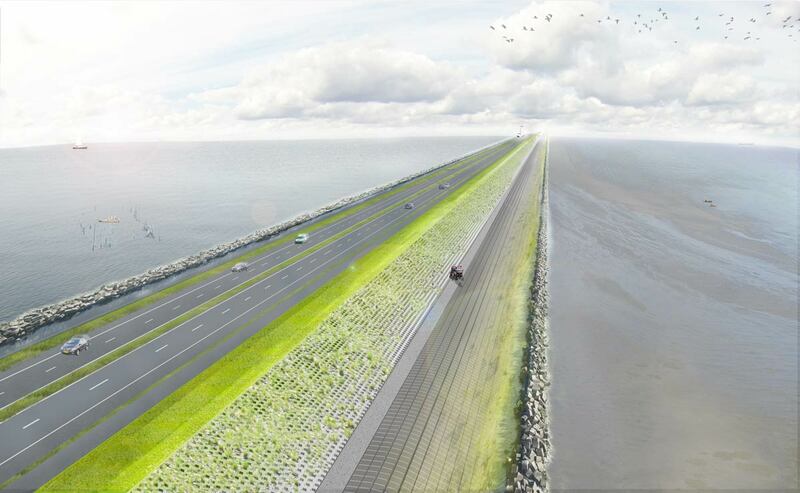 On the side of the Wadden Sea a verge is created between the lower slope and the upper slope, which inhibits the wave run-up and provides space for a new bicycle path. 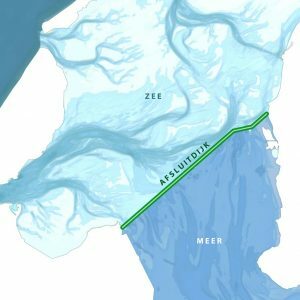 Solutions for new functions in the monumental sluice complexes are designed in collaboration with architect Paul de Ruiter, for example the installation of pumps in the sluice complex at Den Oever and the integration of the fish migration river with the sluice complex in Kornwerderzand. 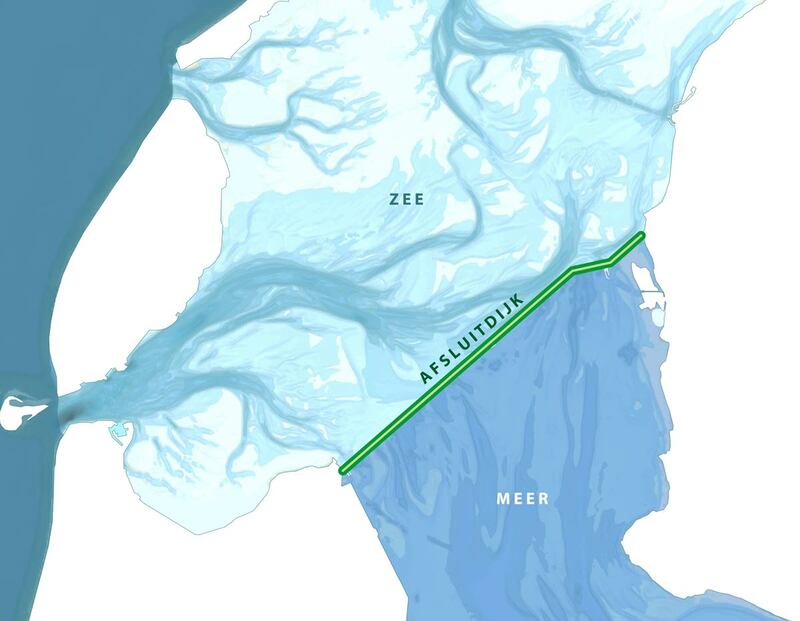 In collaboration with: Paul de Ruiter Architects, Wittenveen + Bos (Engineering) / Planning: 2013-2015 / Realization: 2017-2021 / Client: Rijkswaterstaat and Projectbureau De Nieuwe Afsluitdijk / Size: 32 km.